Munk One students participate in class led by lecturer and director of the Munk One program, Teresa Kramarz. The Munk School brings together top scholars, highly distinguished professionals, passionate global citizens and some of the world’s most talented students. They form a unique community devoted to understanding and meeting the challenges of a fast-changing world. At the heart of that community are the school’s 15 teaching programs and specializations, where our approximately 675 undergraduate and 225 graduate students gain the hard and soft skills they need to excel in their fields, as well as an understanding of the broader economic, political and social issues at play in global affairs. The Munk School’s Master of Global Affairs (MGA) program continues to attract top students with a unique offering: the chance to gain deep insight into global issues by learning alongside the scholars and practitioners at the leading edge of some of the world’s most fascinating and complex challenges. On July 1, 2017, the MGA program welcomed its new director: Mark Manger, associate professor of political economy and global affairs at the Munk School and in the Department of Political Science. Prof. Manger’s research focuses on international political economy, with emphasis on trade and finance. 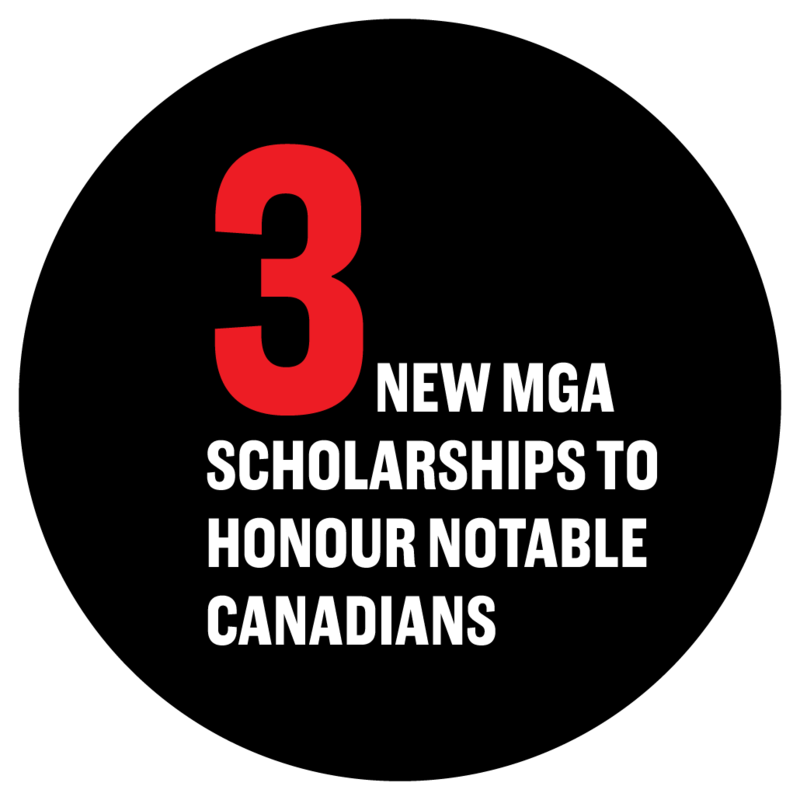 Already an established leader at the Munk School, Prof. Manger has served with distinction as deputy director of the MGA program for the past four years. 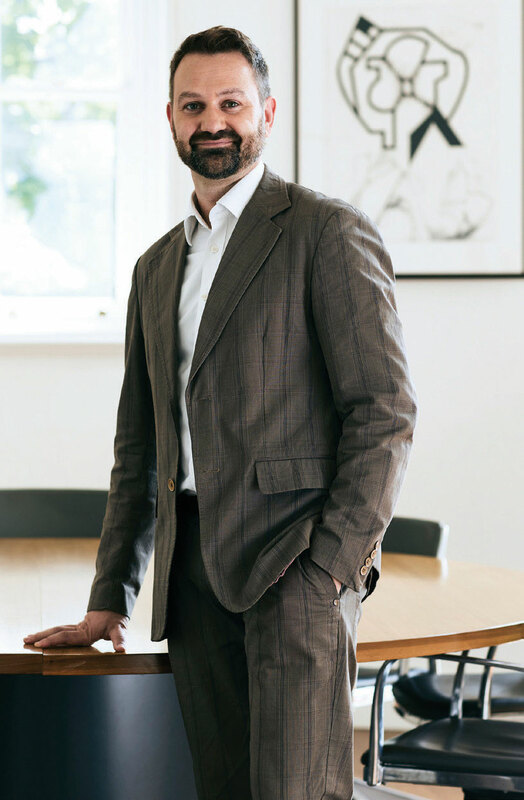 He has taught at the school since 2012, when he joined U of T after tenure-track appointments at McGill University and the London School of Economics and Political Science. This year the Munk School of Global Affairs and the Sciences Po School of Public Affairs in Paris accepted the first round of applications for a new dual degree program; the large number of applications we received for 10 available spaces attests to the appeal of this opportunity, which offers students the chance to earn a Master of Public Policy and a Master of Global Affairs (MPP/MGA) over 24 months of study in Toronto and Paris. 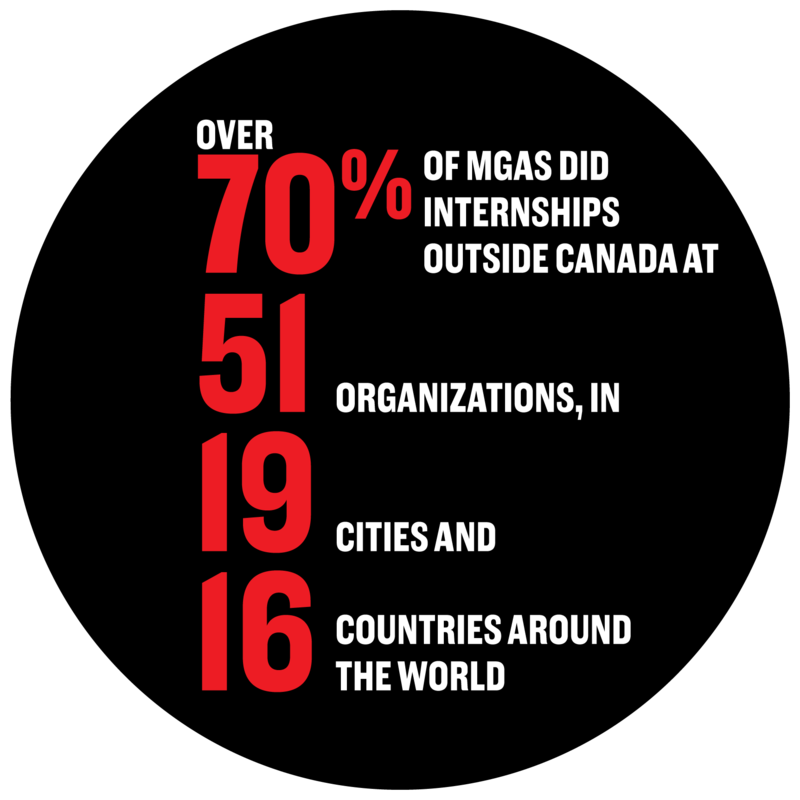 Since the MGA program’s inception, students have concentrated their studies in one of three sectoral streams: civil society, international institutions or global markets. Building on the extraordinary research strength the school has established over time, this year we have revised our curriculum to offer a full suite of courses in seven distinct and substantive areas of study: Development, Innovation Policy, Justice, Markets, Security, Migration, and Sustainability. opportunities to analyze and address its potential downsides. Responding to this reality, the four students – Tim Dutton, Vanessa Ko, Gabrielle Lim and Shamim Shabani – teamed up with Global Affairs Canada’s Digital Inclusion Lab and set out to draft a regulatory framework that would let firms and individuals harness the benefits of AI while avoiding negative consequences – including automated discrimination. Gabrielle Lim sees the Capstone Project as a valuable bridge between the academic study of justice and tackling real-world issues. “It’s a good opportunity to gain experience in an area you actually want to work in after your graduation,” she says. 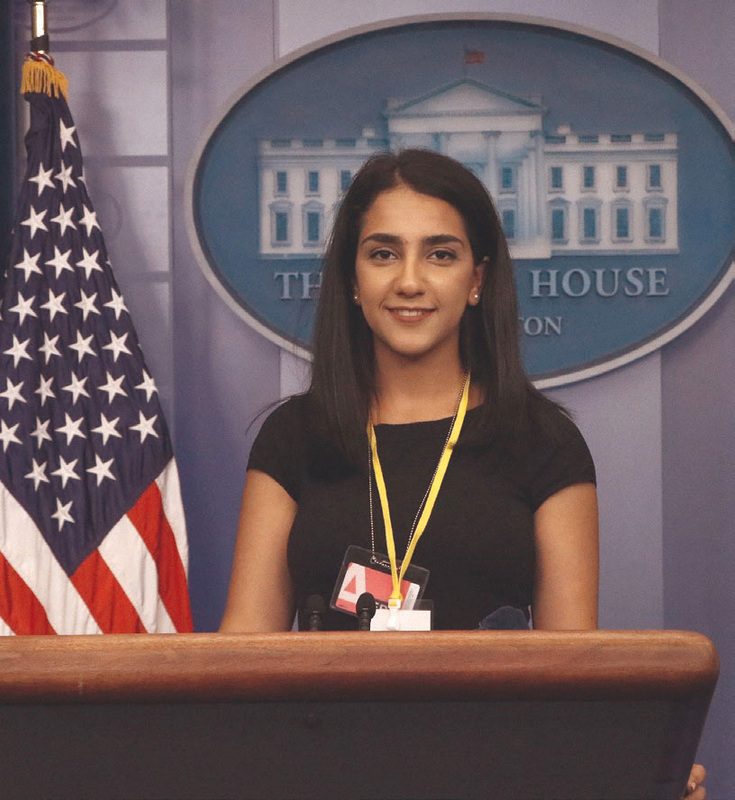 Munk One alumna Sayeh Yousefi interns as a journalist for The Pavlovic Today with the White House press corps. Mark Manger, director, Master of Global Affairs program, and associate professor of political economy and global affairs. 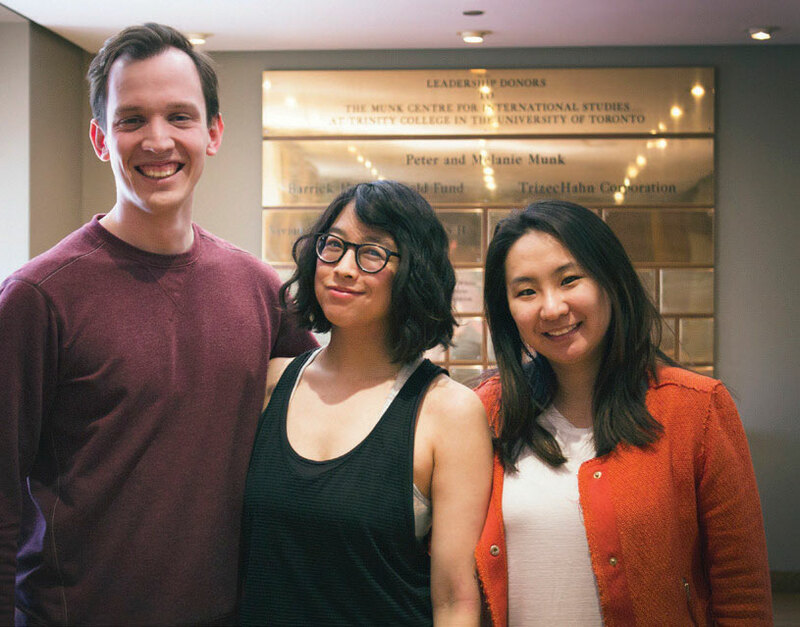 (Left to right): MGA students Tim Dutton, Gabrielle Lim and Vanessa Ko. First-year MGA student Khadija Ahmed is committed to driving social change. Her career to date reflects that commitment in abundance – from her time at Carleton University, where she earned a B.A. Combined Honours in law and women’s and gender studies, to her first year in the Munk School’s MGA program, where her academic interests focus on the intersections of terrorism, human rights and the rule of law. As part of the Munk School program, Ahmed is currently working in Sri Lanka with the Secretariat for Coordinating Reconciliation Mechanisms, an entity dedicated to “truth, justice, reparations and non-recurrence” of the country’s 30-year civil war. 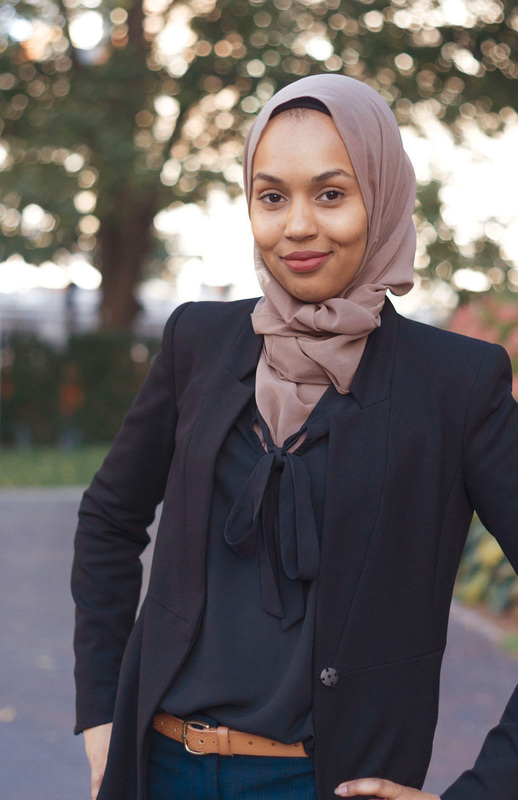 Since starting her MGA, Ahmed has participated in Women in House, a program that lets female students shadow a female member of the House of Commons, and served as senior editor for the student-run Journal of International Law and International Relations. Munk One is a foundation-year program that offers first-year students the opportunity to develop a strong grounding in global issues through specialized seminars and labs in areas such as digital governance and global health. 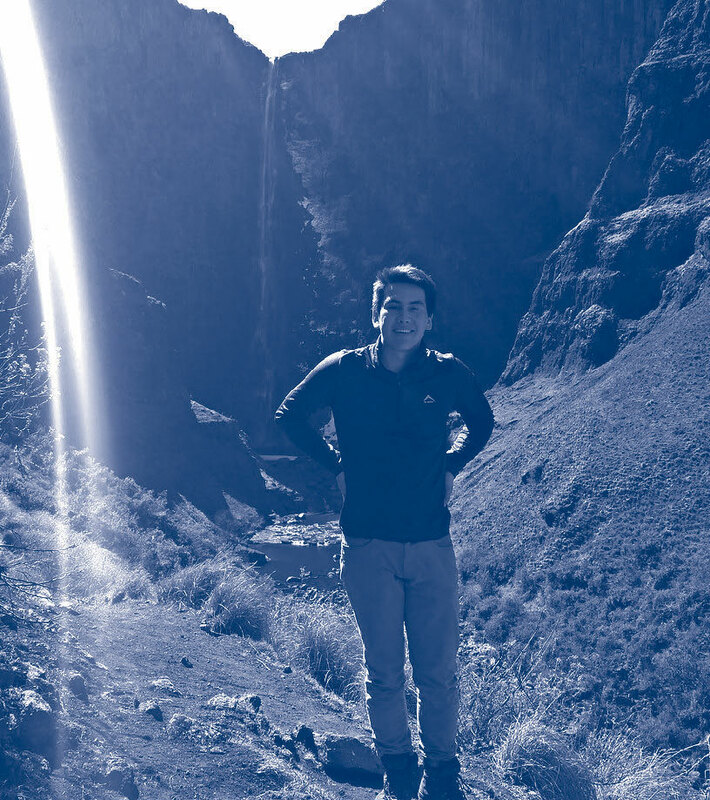 Students can extend the Munk One experience into subsequent years of their undergraduate degrees through summer research trips abroad, mentorships, and participation in intensive problem-solving challenges such as case competitions. Some of U of T’s most dynamic undergraduate students have been drawn to this innovative program. 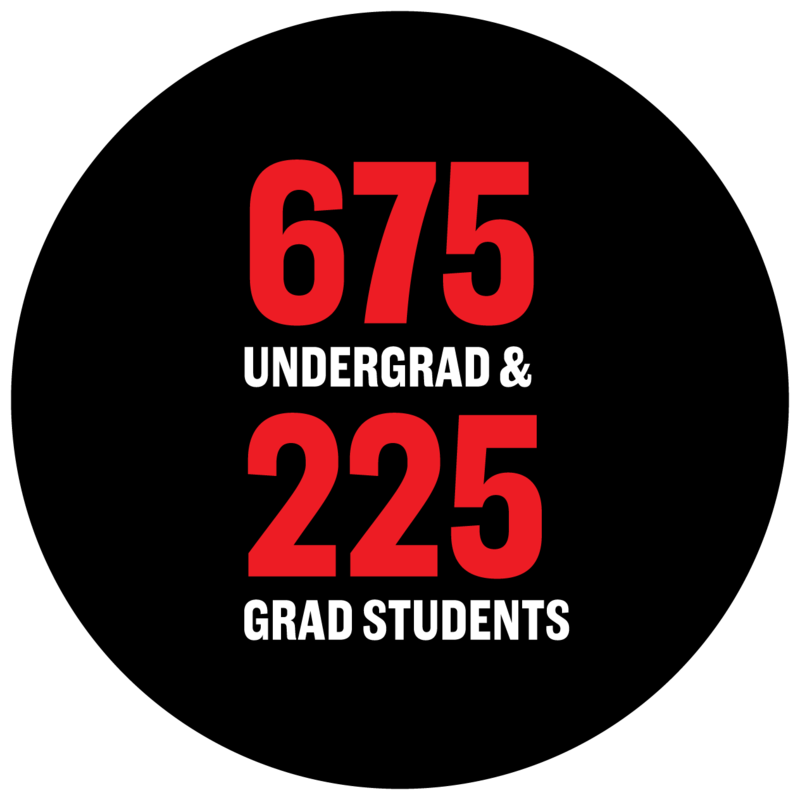 Indeed, in the 2017–2018 academic year, 44% of Munk One students received one or more entrance awards. When Will Zich came to U of T from Chicago, bringing with him extensive coding expertise and a portfolio of apps and digital projects, he saw in Munk One an opportunity to “take my tech skills to the real world to help people.” As Zich embarks on a major in cognitive science, he reflects on the value of an interdisciplinary foundation in real-world issues: “Munk One has not only shown me just how valuable a STEM background can be in social sciences, but how much the social sciences are necessary in technology,” he says. This summer, Munk One student Martina Facchin intends to pilot-test a phone system she devised to help migrant workers in Chinese cities maintain contact with their children in rural villages. Facchin’s project is one of several promising initiatives seeded at the Munk One Social Incubator, a program that encourages students to develop entrepreneurial approaches to global challenges. In recent years, many universities have developed programs to nurture students’ entrepreneurial ideas, but most tend to focus on starting and scaling viable enterprise ideas. The Munk School’s incubator program takes another approach, emphasizing skills development and creative, interdisciplinary approaches to global problems. Students at the Trudeau Centre for Peace, Conflict and Justice (PCJ) not only study the roots of peace and conflict, but they challenge themselves to think deeply about their own positions and perspectives in an unequal, interconnected world. PCJ student Jordan Imahori is a Munk One alumnus, a Queen Elizabeth II Scholarship recipient and a relentless innovator. With collaborator Adam Sheikh, a fellow Munk One alumnus and PCJ student, Imahori helps lead Aegis, a non-profit organization focused on providing potentially life-saving cooling vests to construction workers in Qatar. Experts had warned that thousands of heat-related deaths were likely as workers faced pressure to complete facilities in time for the 2022 World Cup. Sheikh and Imahori responded. “They’re doers,” says Munk One director Teresa Kramarz. “They see connections, they see how global problems are connected to local realities, and they’re deeply motivated to do something.” Between working with Aegis and pursuing a double major in economics and peace, conflict and justice, Imahori has pursued other meaningful projects around the world: he developed an impact evaluation methodology for a literacy program in Cape Town and supported a dispute resolution project in Sierra Leone. Hope was a participant in the first offering of the PCJ’s Study Abroad Module. 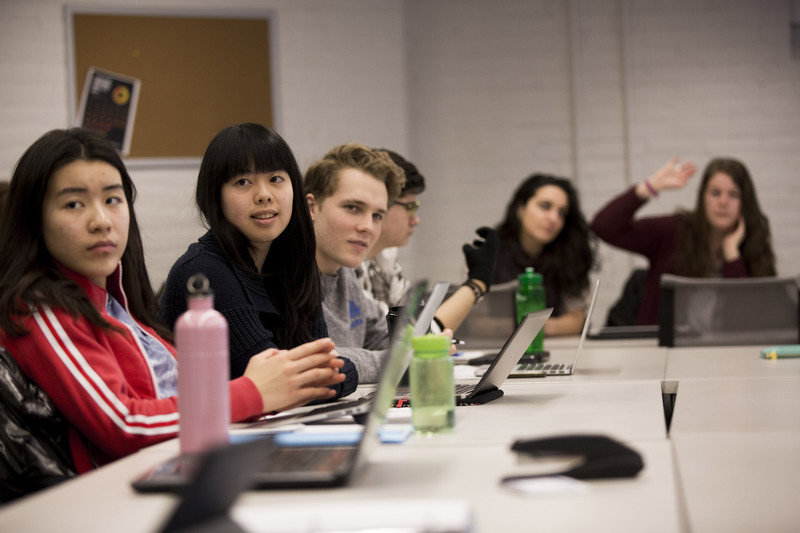 As students pursue coursework at an institution outside Canada, they simultaneously participate in a virtual classroom hosted at the Munk School – connecting with fellow U of T students having parallel experiences around the world. Students are encouraged to consider the new perspectives they’ll bring home with them – and how their cross-cultural experiences have affected their thinking about peace, conflict and justice. “We’re asking students to undergo a process of learning by doing and experimenting, and by being open to one’s own biases, failings and tendencies,” notes instructor Dr. Dylan Clark. 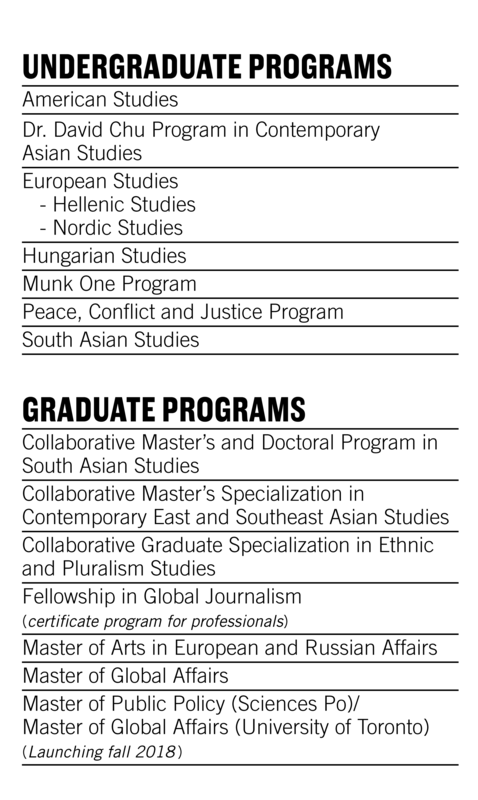 The Munk School’s Fellowship in Global Journalism recruits professionals, scholars and other subject-area experts, and offers them training and mentorship to help them report effectively on their own specialties. Each year, fellows succeed in publishing scores of stories in a range of outlets across Canada and around the world. 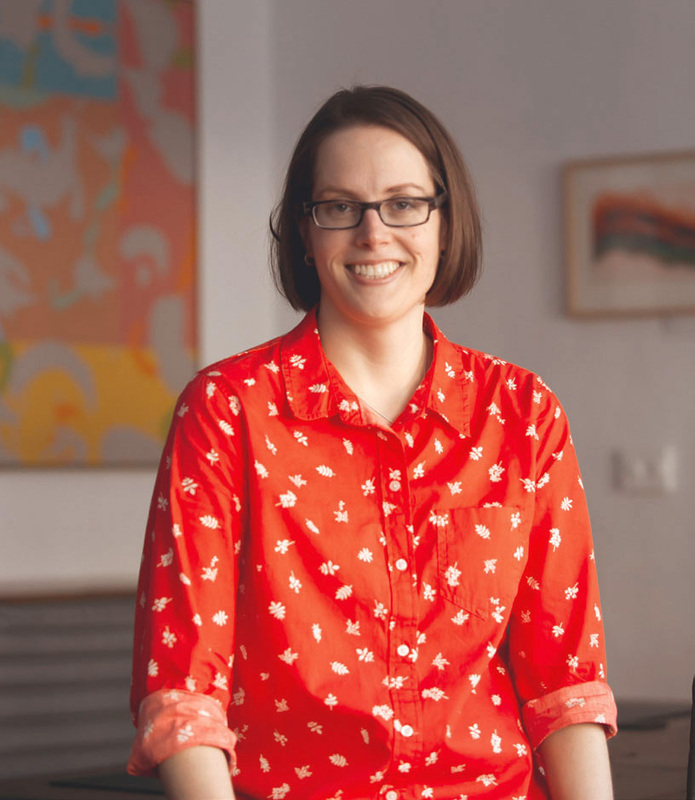 As a physician working with organizations such as Médecins Sans Frontières (MSF), Sarah Giles believed she had a responsibility not only to help the people in front of her, but to inform others about what she was witnessing. Dr. Giles enrolled in the Munk School’s Fellowship in Global Journalism to develop her ability to report effectively on the experiences and insights she was gaining as a physician. Recent pieces in The Walrus and other publications attest to her success not only in crafting compelling stories but in pitching them to the outlets that shape public conversations. This year, students in the Munk School’s Centre for European, Russian, and Eurasian Studies (CERES) completed internships and work experiences in Albania, Bulgaria, the Czech Republic, Greece, Hungary, Italy, Germany, Norway, Russia, Sweden and Ukraine. 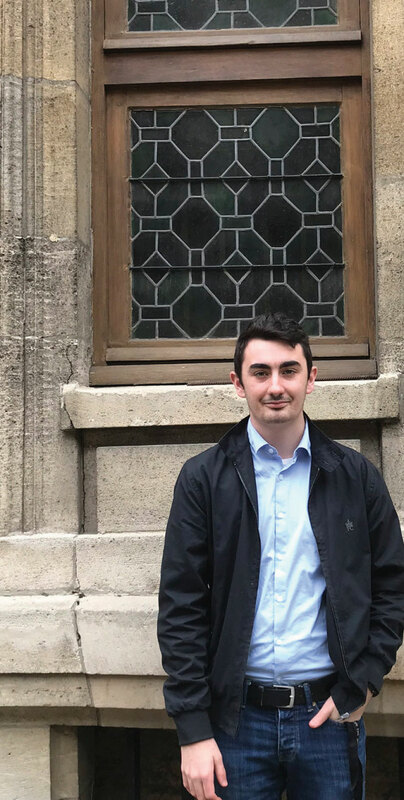 MA in European and Russian Affairs student Yukon Damov spent the summer in Hamburg, Germany, working with the non-profit Jewish historical institute Centropa on a new exhibition: The Lost Sephardic World of the Central Balkans. While Damov was working to preserve and share twentieth-century Jewish family stories from the Balkans, his academic colleague Eilish Hart was interning with Hromadske – an independent, journalist-run digital-media NGO based in Kyiv, Ukraine. 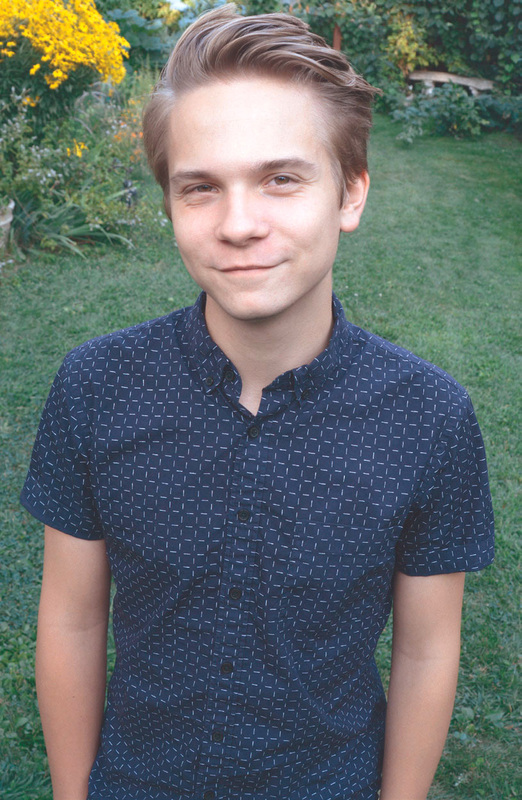 Hart contributed to Hromadske’s online channels and also developed segments for the Sunday Show, the outlet’s weekly prime-time broadcast covering political topics in Eastern Europe – from human rights and media freedom to migration and international relations.